The Cavaliers didn't just hit a home run, they may have saved the franchise in the short-term and long-term. Before Aug. 22, the Cleveland Cavaliers were experiencing one of the most torrid offseasons imaginable for a franchise that has one championship and three NBA Finals appearances during the past three years. Their successful general manager David Griffin, the architect of those teams, was unceremoniously let go by owner Dan Gilbert to much befuddlement and bemusement. After a lengthy flirtation with Chauncey Billups, Koby Altman was promoted from within. The team tried and failed to make a blockbuster trade for Paul George or Jimmy Butler, or one of the young stars in a loaded draft class. 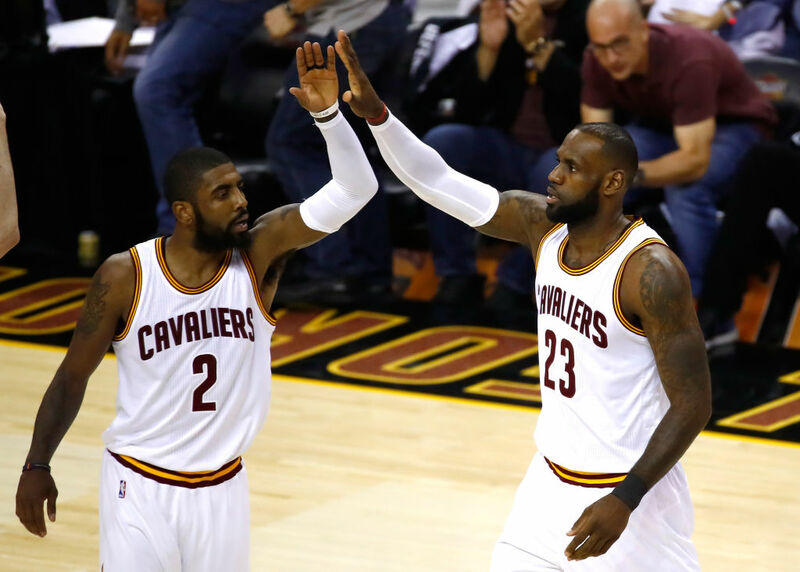 All-Star point guard Kyrie Irving, who made the winning shot in Game 7 of the 2016 Finals, then shockingly requested a trade as his frustrations with teammate LeBron James were made public. Oh, aaaaaaaaaaannnnnnddddd on top of all of that is another looming storm cloud: the rumor and innuendo that LeBron James could leave in free agency (again) for a new team when his contract is up next season. The reported “frustration” from LeBron over the Cavs’ offseason, even before Irving’s bombshell, hasn’t exactly added to the optimism of Cleveland fans for what’s going to happen in the 2017-18 season and beyond. Taking stock of where the franchise is, the Cavaliers were between the ultimate rock and a hard place. Try to make James and Irving peacefully co-exist for one last shot at a title and risk everything for 2018 or start planning for the future. To use a poker analogy, Cleveland had all of their chips in the middle of the table with Irving’s situation and had to draw to an inside straight on the river card to save their short- and long-term future as a franchise. In any possible trade scenario, Cleveland had to A) get an All-Star in return who could keep them as the pre-eminent favorite in the Eastern Conference and B) get a young player or top draft pick that could help stabilize the future for any potential post-LeBron era. Teams usually don’t have the luxury of trying to win now and building for the future, but Cleveland did just that by trading Irving to the Celtics for Isaiah Thomas, Jae Crowder, Ante Zizic, and Brooklyn’s first-round pick in 2018. How Cleveland did it, with a rookie general manager and zero leverage and facing the prospect of rapidly slipping into irrelevance is one of the most astounding moves an NBA franchise has made in recent times. That’s not to say that Cleveland “fleeced” Boston by any means or that Irving isn’t the missing piece for the Celtics that may one day sooner or later take them by Cleveland to the Finals. It’s truly a “win-win” trade for both teams. But we already knew what Irving would bring a new club: a proven Finals winner who has put up major performances when it mattered most, the best ball-handler in the league, and someone who could be a franchise player for another decade. What we didn’t know is what exactly the Cavs could get in return. And judging by the recent NBA trade market, hopes were slim. The Bulls received Zach LaVine and Kris Dunn, as well as an exchange of first-round picks for Jimmy Butler and were immediately questioned for not getting more in return. It may turn out to be a rental, but the Pacers only getting Victor Oladipo and Domanntas Sabonis for George was also seen as a net loss on their biggest asset. Given the current market, it didn’t look like the Cavs could have the luxury of filling both of their needs. Either they would have to go for the future and get a bevy of picks and young talent, or they’d need to go for a more established star like Carmelo Anthony. In the end, they were able to accomplish both those goals in getting Thomas and Brooklyn’s pick. 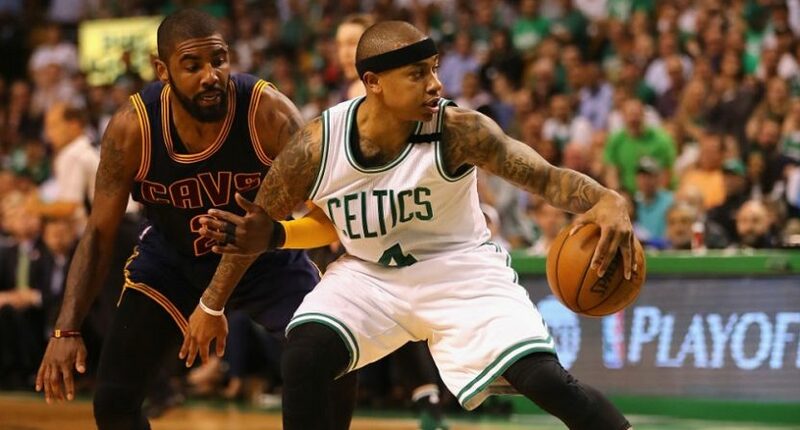 In Thomas, the Cavs get an immediate replacement for Irving who shares many of his same strengths and weaknesses. Thomas is a proven scorer, ballhandler, and fourth quarter player who averaged 28.9 PPG last season. Yes, he’s older than Irving and he has questions surrounding his hip, but getting Thomas to plug into the Cavs lineup is a no-brainer for Cleveland that gives them a brand new Big 3. They also get another new significant piece in Jae Crowder, someone who can actually play perimeter defense!!! Whether Crowder starts or comes off the bench as the team’s sixth man, he immediately improves their depth, which was badly exposed against the Warriors last season in the Finals. The Brooklyn Nets’ pick may not be a guaranteed top selection, but if it’s in the Top 5 or even Top 10, it gives Cleveland an asset that not many successful franchises (besides Boston) currently have at the moment. Not only can it be something that builds for the future if James leaves, it could also be a very enticing piece that tells LeBron the Cavs can have success beyond this season. If the Cavs could keep Thomas, Love, and James all together, then adding a top pick on a rookie contract makes a ton of sense for the franchise and positions the Cavs in a way that makes them stronger than ever. If the worst-case scenario happens and James and Thomas both bolt, suddenly Cleveland has Love, a potential high lottery pick, and some space to rebuild around. Given all of the drama and turmoil emanating from Cleveland this offseason, this is absolutely the best-case scenario for the Cavaliers. Not only can Cavs fans put the Irving Era behind him (and no matter what, please don’t boo him on Opening Night in a Celtics uniform — he did help win you that championship), but they can also look forward to the present and the future with a bit more optimism. That didn’t seem possible just 24 hours ago, but it is now.